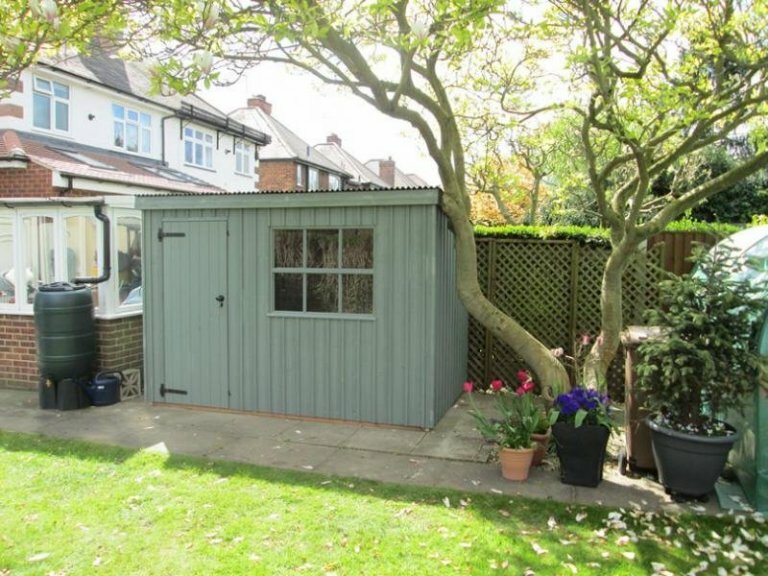 Our customer purchased this stunning 14ft x 10ft National Trust Oxburgh Garden Shed to use as a potting shed and storage area for garden equipment. 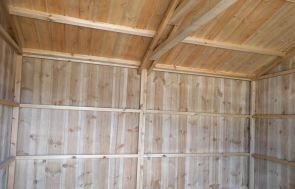 As with all of our National Trust range benefits from free delivery and installation by our expert team, as part of our end to end service. For each National Trust product sold a contribution is made to the National Trust to help look after and conserve special places for ever, for everyone. Our National Trust range are traditional in style, featuring a natural colour pallet and classic black Georgian style accents. 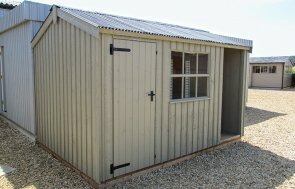 This particular shed has been finished with corrugated roofing and vertical sawn boards coated in ‘Terrace Green’ from our specially chosen National Trust paint range. Alternatively, if you’re in the area why not visit us at our Surrey show centre in Sunningdale, to experience the luxury service we provide first-hand. 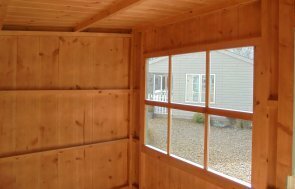 We have over 25 different size and style garden buildings on display for you to view at your leisure.